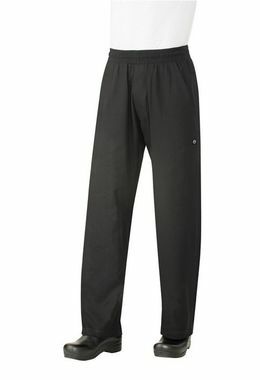 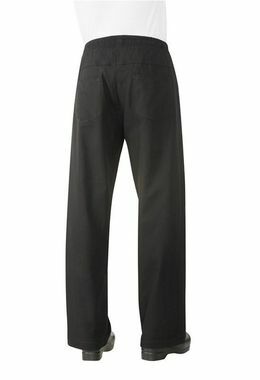 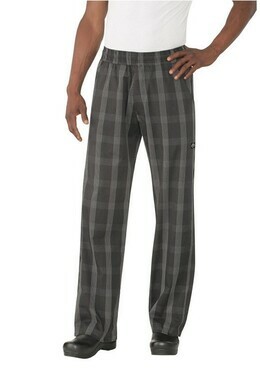 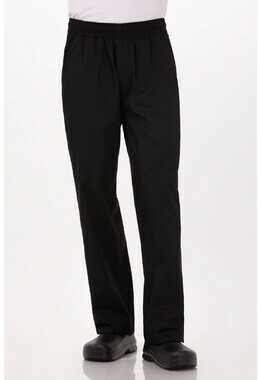 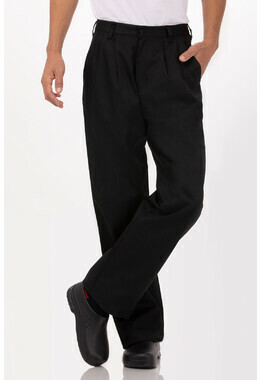 This Black Better Built Baggy Pants have a curved elastic waistband for extreme comfort. 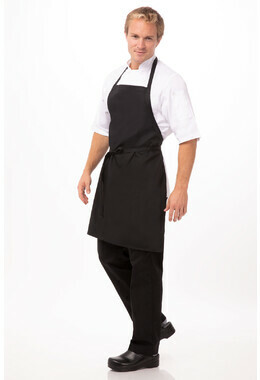 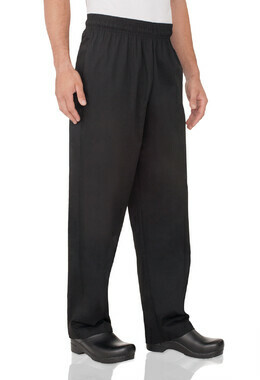 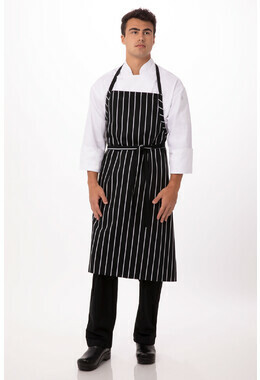 Our Ultralux mens black chef pants also have a curved elastic waistband, built-in flat drawstring and zipper fly. 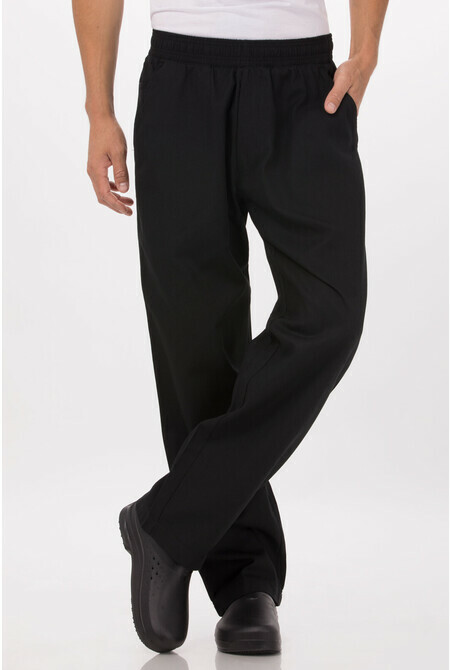 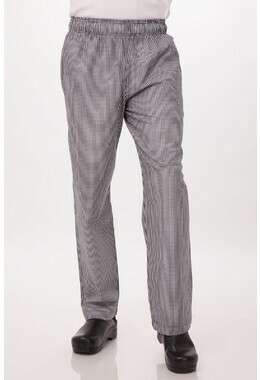 They have a shorter inseam and wider hems which provide extra length. 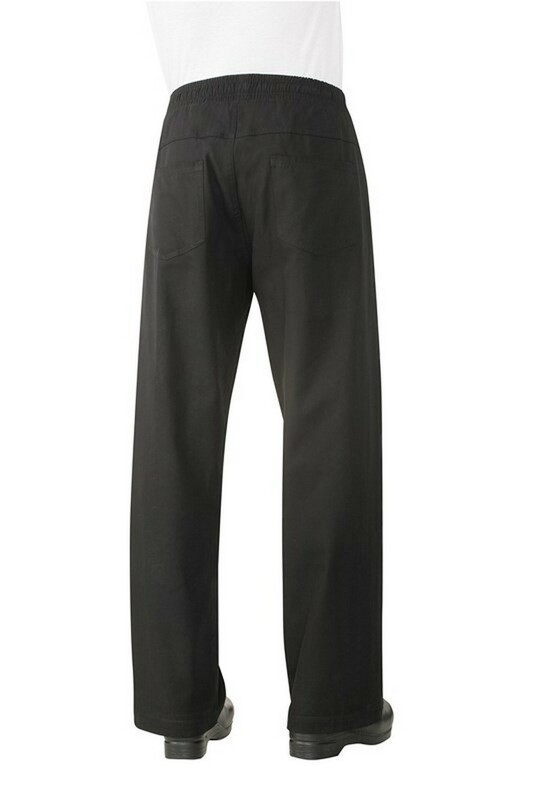 Our UltraLux Black Chef Pants also have two deep slanted on-seam front pockets with a built-in cell phone pocket. 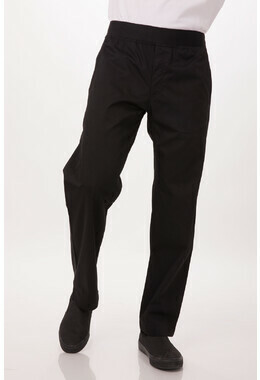 They also have two roomy back patch pockets to keep your essentials on you.